Oh and a little sneaky peek of my LO the blind scrap was based on........had a fab time with the girls from a passion for craft last night! !Dont forget if you'd like to join in and go in the draw to win a RAK from me then head on over to a passion for craft and join in the fun! oh wow i love that sketch and yur layout is stunning...just love it!!! very tricky sneak peak and great card too!! i can't believe i missed the blind scrap...silly kids!arrrrrrrr!!!!! Loving all the pink Krissy! YAY on the acceptance :). firstly, no good about the sickness still krissy!!! hope you gave your sister a big serve about it!! lol. i love honey btw!! beautiful layout of morgan she was a cute bubba thats for sure!! WOW!! 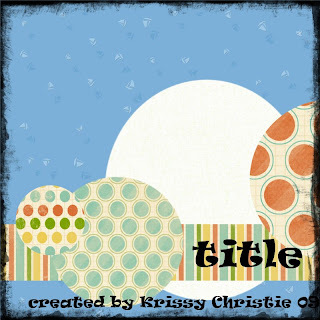 Gorgeous creations Krissy!! You do have the best bling on your creations!! :) TFS!